Playing is a must for kids, adults, and even the elderly! Playing is a natural medication to loneliness, depression, and other negative emotions built within us. It is also a stress reliever. In one study, children who play outdoors have better self-control and feel much more fulfilled than those who don’t. Playing is crucial for our growth – mental and psychological growth. Original Copter designs its toys with the utmost consideration so they are safe and enjoyable by all ages. Original Copter are one of the few toys that one can play with outside during the day, but it’s best at night. The sheer enjoyment of launching a Original Copter over the sky and watching its light glow is worth every penny this toy costs. 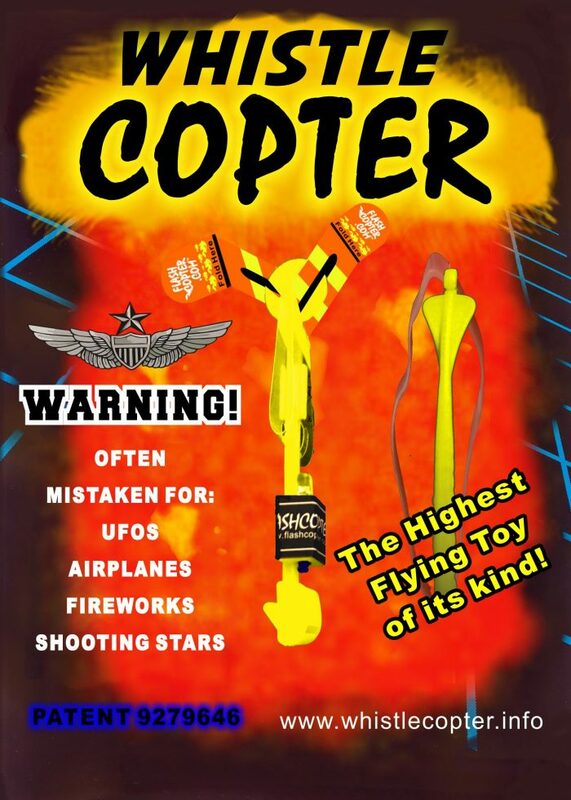 The Original Copter is a toy substitute for those who love fireworks, and let’s be honest, who doesn’t? It is designed to fly as high as 200 feet and give delight on its descent because it’s wings reflect the bright LED lights. This toy uses the sling shot mechanism. You don’t need any electricity or complicated motor to make it fly. The batteries are only for the LED light attached to it. This toy has 3 parts: the body, the wing and the rubber band. First, the wing is separated in the packaging and should be folded as instructed. Then attach the body. One end of the body has the LED lamp on it. Make sure to switch it on before letting the Original Copter fly. Launching the toy is easy. Simply use the rubber band to launch it to the air, taking consideration the strength of pull and where you are aiming the toy to. Pull the rubber band just right to send the toy in the air. Launch your Original Copter in open areas because you do not want to hit anything or anybody. Try launching a Original Copter for yourself and see how much fun it truly is!